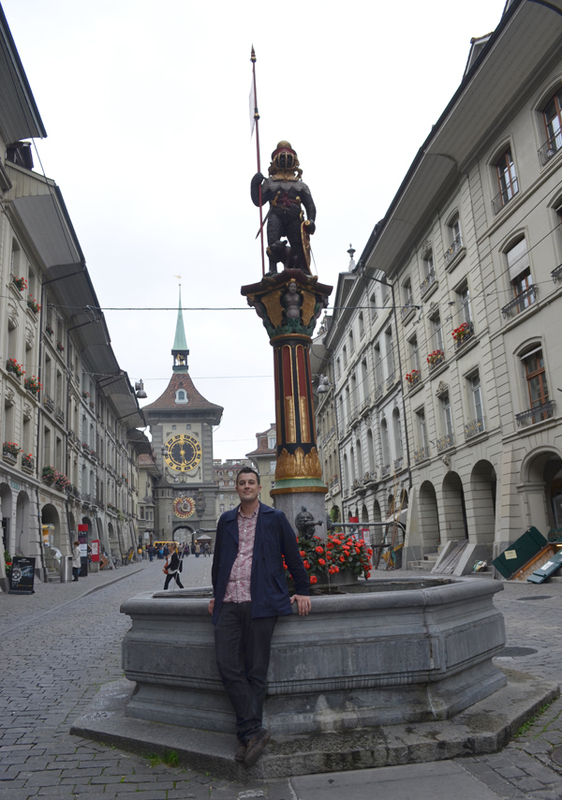 After our weekend in Zurich it was time to go to Bern to meet with Aaron's class. It was only about 30 minutes away by train. 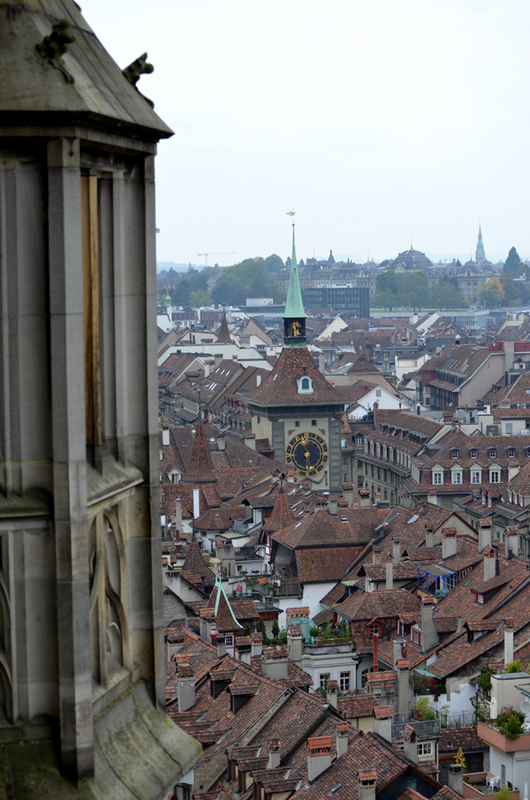 Bern is the capital of Switzerland and somewhat small but so much to see! 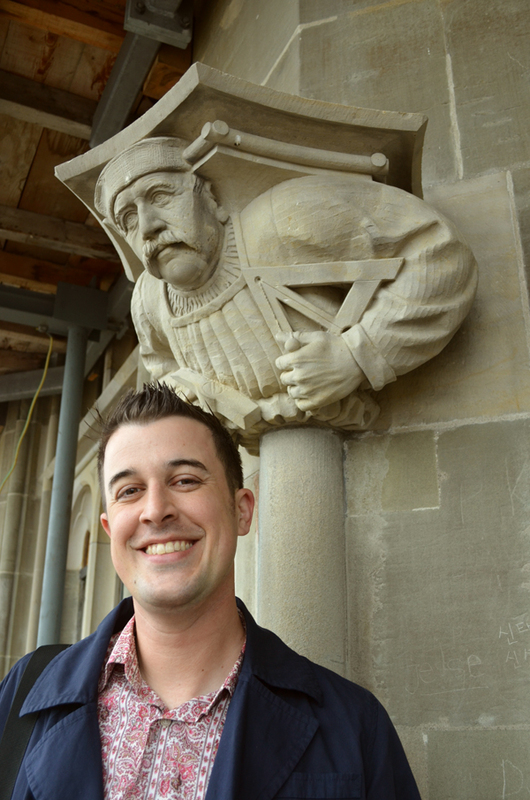 The clock tower behind Aaron is called the Zytglogge. 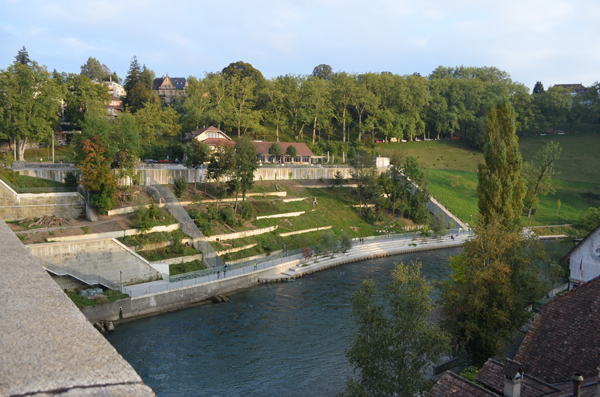 It was built in the early 13th century and has had many role before becoming the Bern land mark it is today. 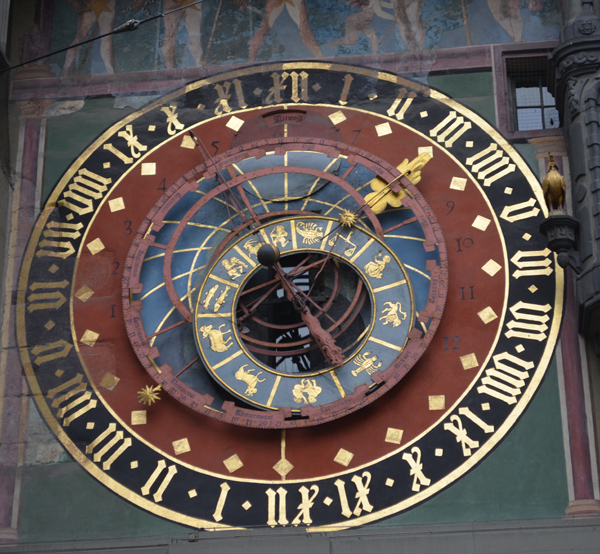 The Zytglogge includes an astronomical clock featuring the zodiac calendar. It was not made to support leap days so it has to be reset on leap years. My favorite part of the clock is the little show it put on. Five minutes before the top of the hour, the rooster would crow and then the jester would ring the bells for each hour as the bears circle around. Because he is a fool, he mistakenly went early. Then on the hour at the very top (not pictured here) a figure strikes the bell for reach hour and at the same time, the seated figure, Chronos, first turns the hour glass and then for each strike, opens his mouth and dips his septer. At the same time the lion on the right turns his head for each strike. Then to end it all, the rooster crows one more time. A crowd would gather each hour to watch this go on. 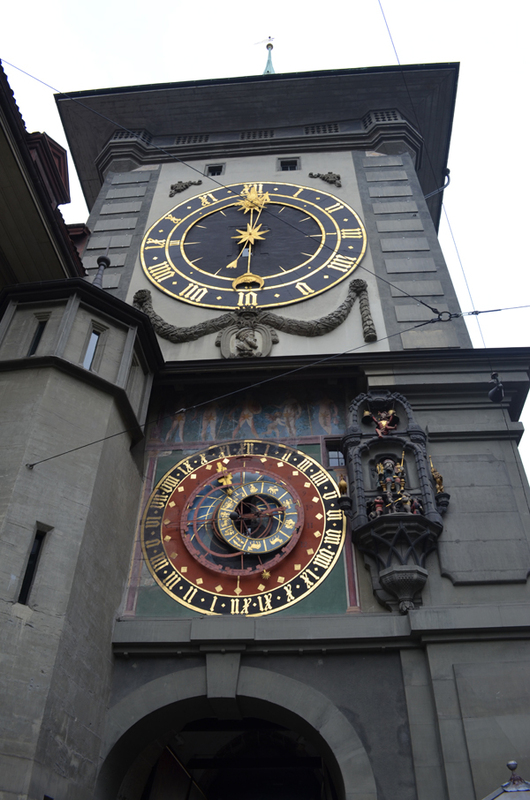 After watching the clock, we walked down the long main street through Bern to the Bear Park. 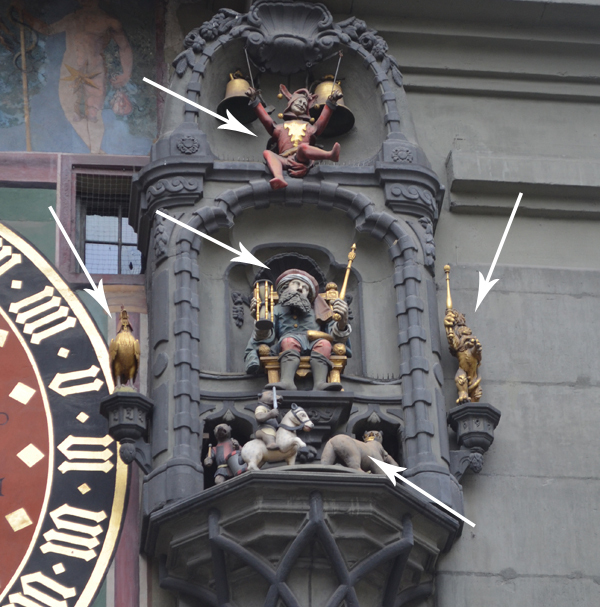 The bear is a symbol of Bern because it is said that Duke Berthold first killed a bear in the woods to be cut down to make his city in 1191. They have kept bears in Berne since at least 1513. We visited the Bärenplatz or Bear Park to see the three bears living there. They have renovated the bear pits where they keep the bears and they have a pretty nice spot now. 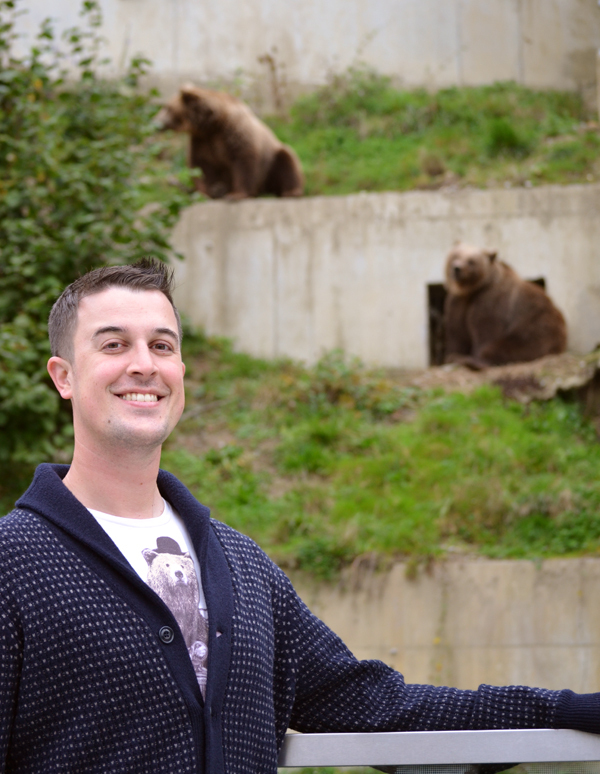 Aaron strategically wore his bear shirt for his first day in Bern. (Bears. Beets. Battlestar Galactica. *The Office reference. 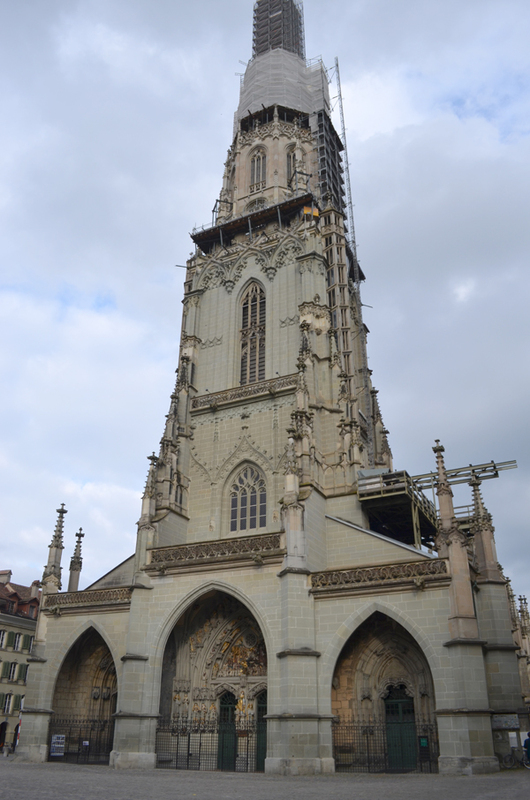 On our second day in Bern we toured the Bern Münster cathedral. They started building it in 1421 and didn't finish it until 1893. 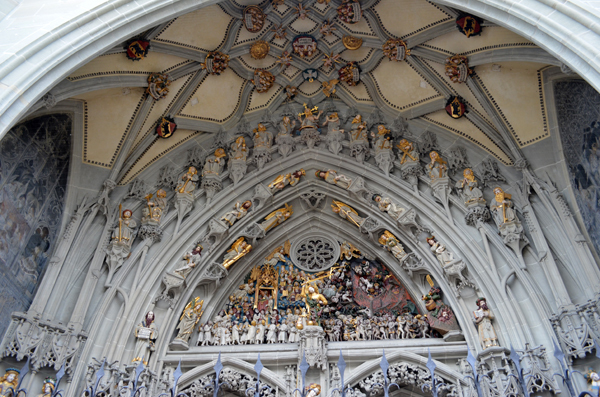 At the main entrance there is a series of carvings that depict the last judgment... heaven on the left and hell on the right. Some of the scenes on the right are terrifying. The best part was climbing to the top of the 330 tall foot tower. 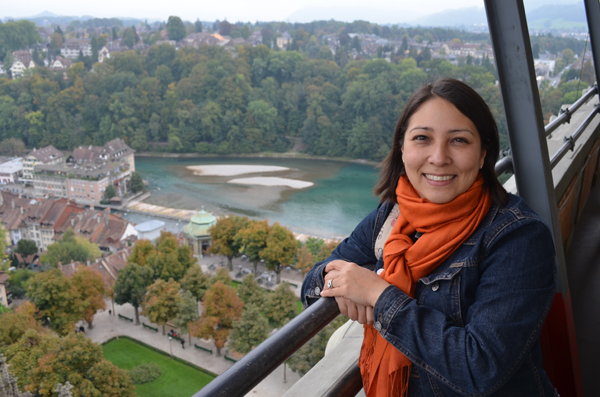 It gave us a sweeping view of Bern. We could clearly see the Zytglogge from there. 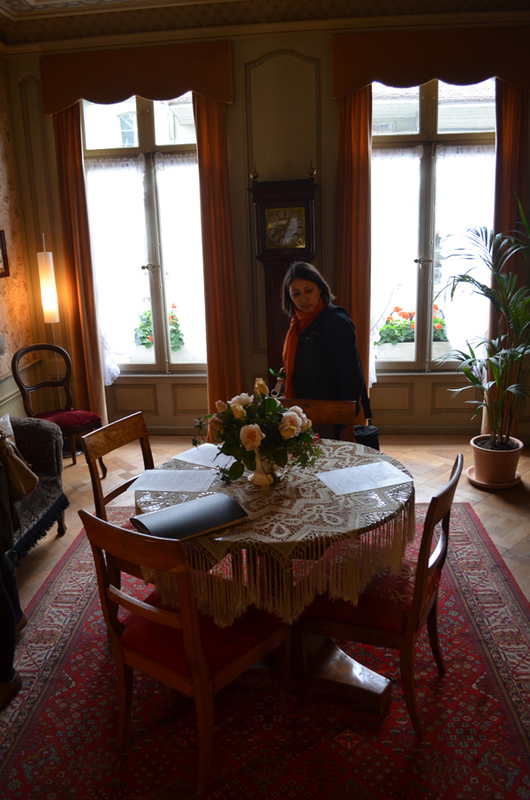 Even though it is small, I was pretty excited to go to Einstein's House. 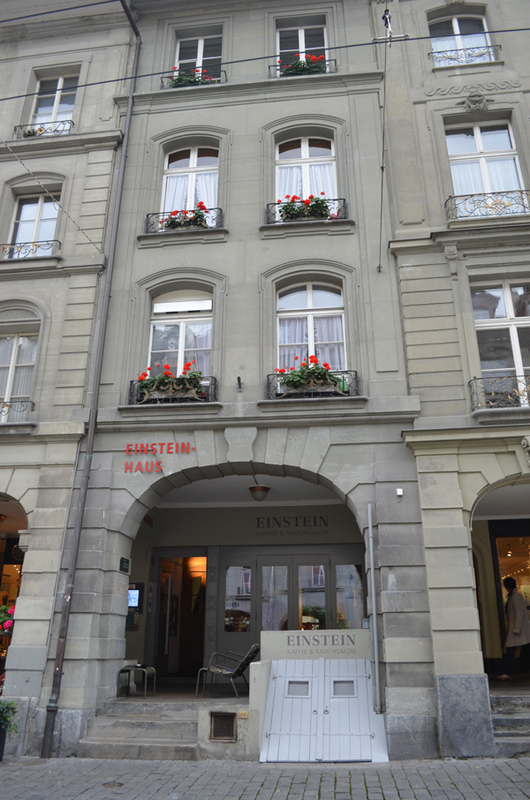 Albert Einstein lived in Bern from 1903 to 1905 during which time he wrote five important papers including the Theory of Relativity. He lived in a flat on the second floor of this house which has been restored to that time period. The one item that was called out in the guide book, was his sofa that had been brought from Princeton. The downstairs of the building has been made into a cafe which I thought was interesting. 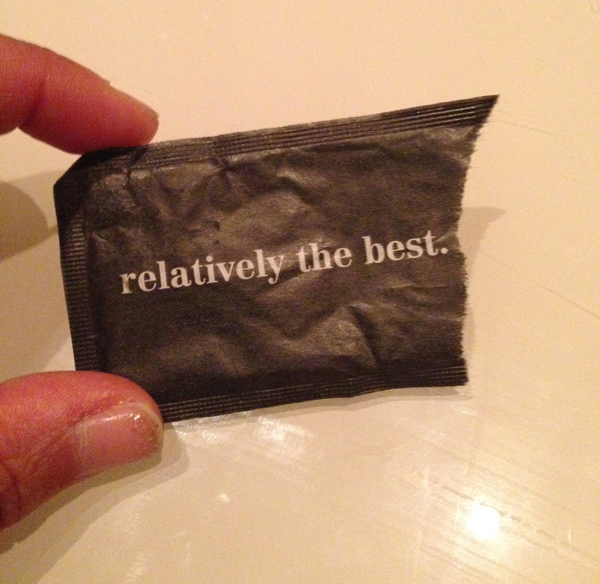 They were clever with the sugar packet design. Also, after 16 years of marriage Einstein divorced his wife, and married his cousin (first cousin on his mother side and second cousin on his father's side... what?!) with whom he was already having a relationship with. Huh. oh I love Bern. It was my favourite of the Swiss cities we visited. So charming.